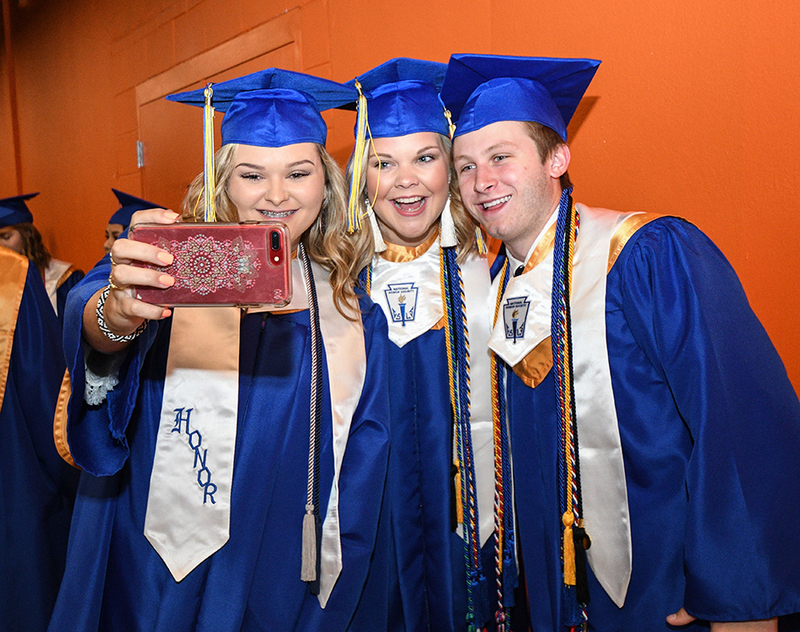 Tristan Nichols, left, Madelyn Morton, and Gareth Lanford take a selfie before Wren’s graduation ceremony at Clemson’s Littlejohn Coliseum on Thursday, May 24. 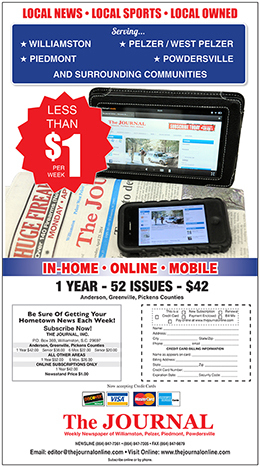 More graduation photos will be in next week’s issue of The Journal. 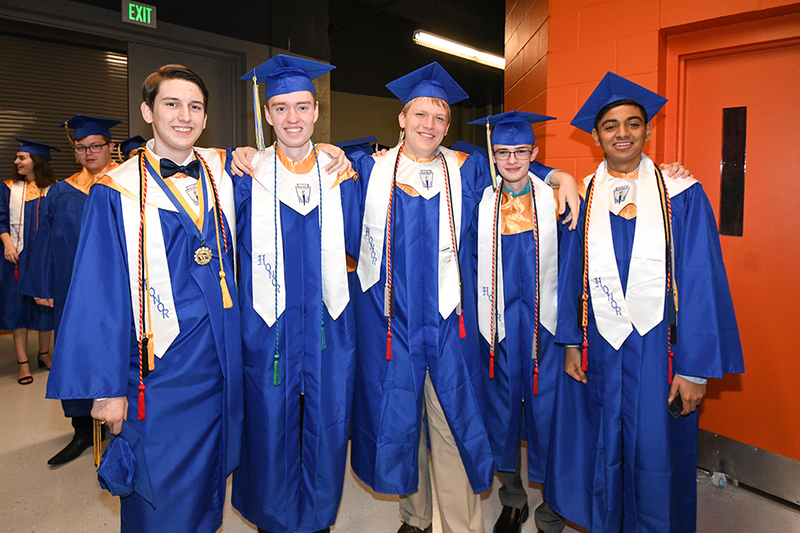 Wren seniors, Kaleb Wilder, Jacob Sprague, Peter Trela, Zakary Storey, and Shaheel Momin, gather for a photo before walking out for graduation at Littlejohn Coliseum in Clemson on Thursday, May 24. 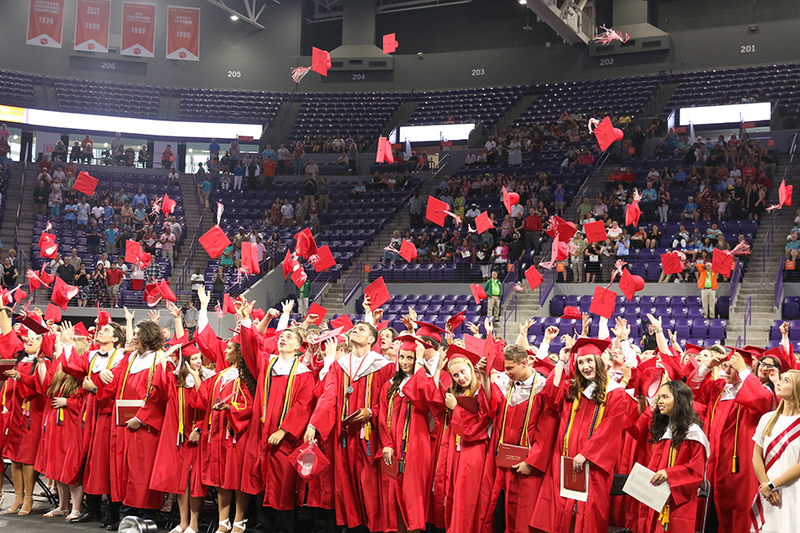 The Palmetto graduates of 2018 toss their caps after the conclusion of the graduation ceremony at Littlejohn Coliseum in Clemson on May 24. 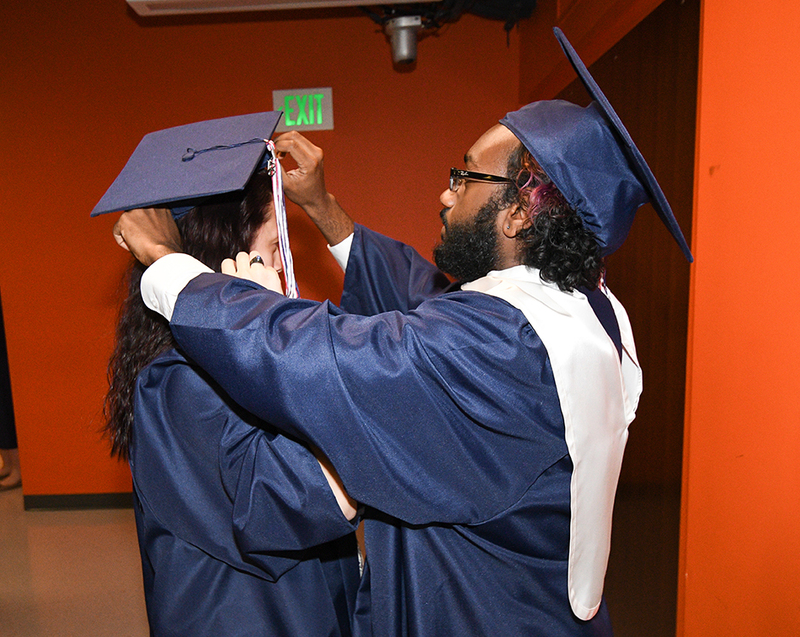 Vejai Foster, left, helps classmate Kira Buchanan with her cap while waiting for Powdersville graduation ceremonies to begin at Littlejohn Coliseum in Clemson on May 24. 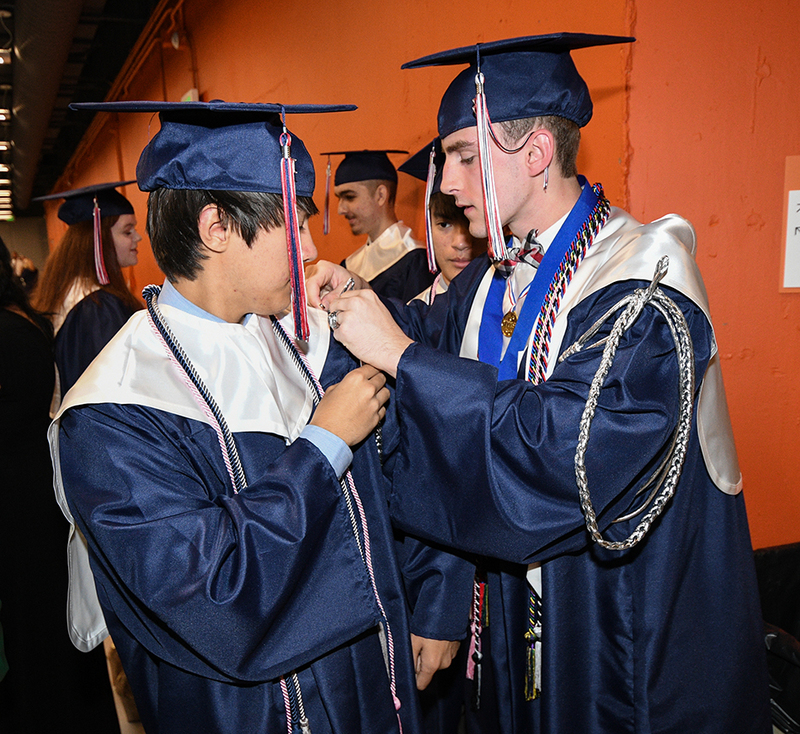 Gabriel Kline gets help with his band chord from Ryan Booth as his brother Michael Kline watches during preparations for Powdersville’s graduation ceremony to begin on Thursday at Clemson’s Littlejohn Coliseum. 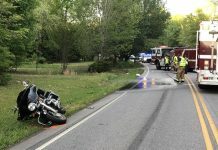 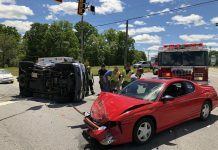 Next articleTwo vehicle accident – Augusta Rd.